All photos by Mariah Paz @dothebay. 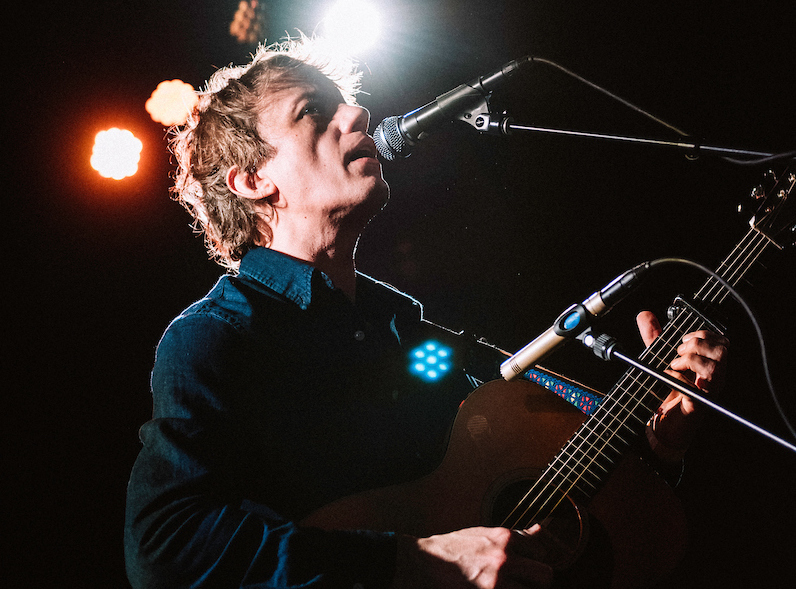 On a Tuesday night, the Chapel saw a healthy turnout attending for the latest show on the Steve Gunn/Julie Byrne Tour. These two young artists have been garnering a lot of attention in their dedication to song craft, tradition, and impressive acoustic guitar techniques. Gunn has been getting a fair amount of attention with a very prolific discography currently on Matador records as well as a recent live appearance on CBS the morning of the show. 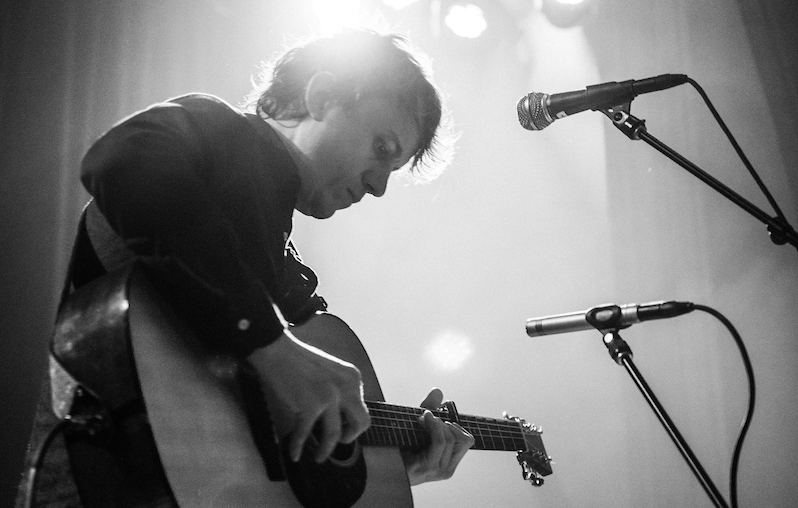 Though on record Gunn usually has a full band behind him, for this tour he played solo (he has toured with a band before). 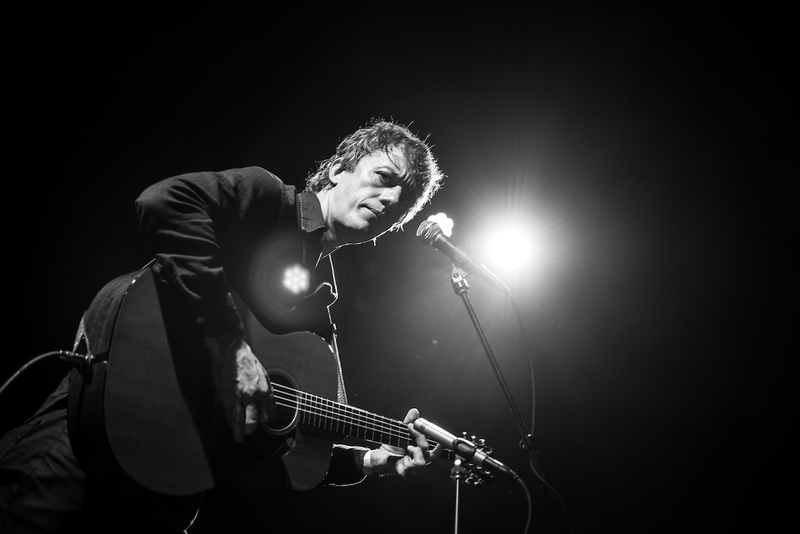 Playing mostly material from his last three albums (Eyes on The Line, Way Out Weather, Time Off), there’s been some reframing of the material for single acoustic guitar. On record there’s usually a full band with Gunn playing both electric and acoustic, here the acoustic has to do most of the heavy lifting in terms of carrying the arrangements. 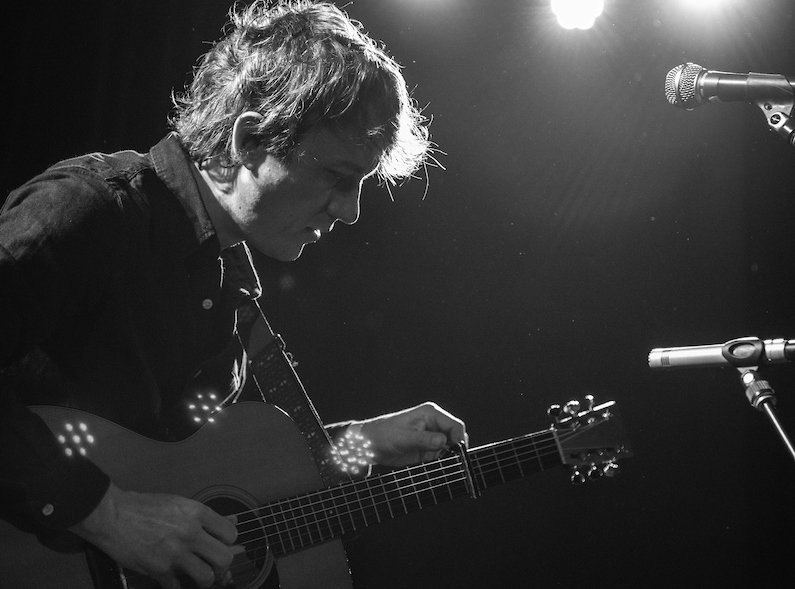 With that, Gunn managed to impress us all night with his seemingly effortless command of acoustic guitar forms, switching from gentle fingerpicking to hillbilly styled playing along with lots of neo-Middles Eastern-like drone figures. Gunn throws a barrage of playing styles at the crowd. His songs have more of a rustic tradition – think Dylan’s “Masters of War” filtered through some Dead/Quicksilver Messenger Service and finally topped off with some influence from the Sonic Youth generation. One is reminded of the rock tradition in that Gunn utilizes an amplified guitar with many effects and often stomps on the distortion pedal for some non-folkie digressions. 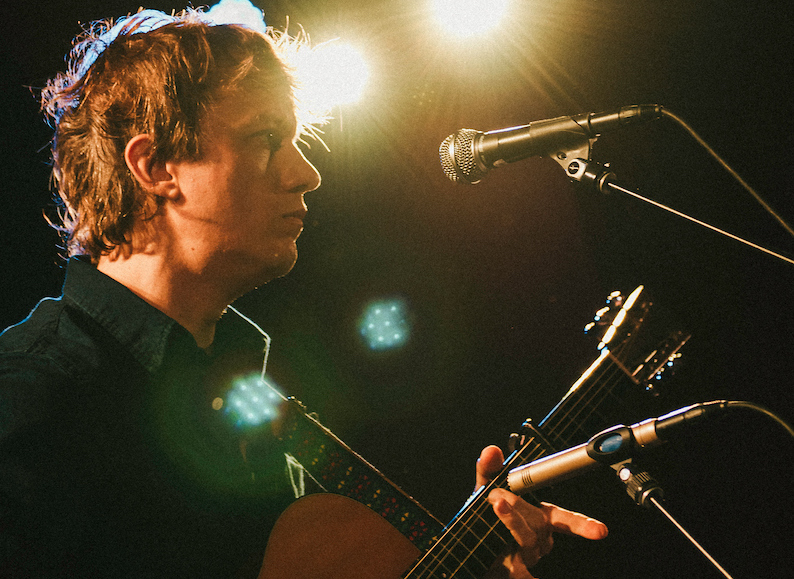 Steve’s acoustic frames the songs and mood of the night, many times with extended excursions before or during a song. For an encore, Meg Baird and Ryan Walker joined Gunn for a version of Neil Young’s “Revolution Blues.” Gunn is an impressive talent and it would be interesting to take in his full electric band when he tours in that format. 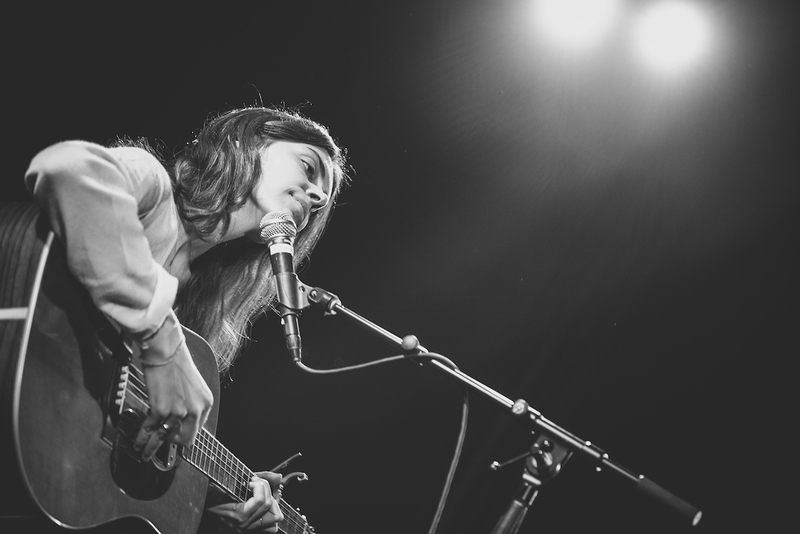 Julie Byrne opened the night channeling the classic folk chanteuse, sitting on a chair, slightly bent over and playing some beautiful fingerpicked guitar lines. She reminded me of the Joans (Baez, Mitchell) with naturally a more post-punk subdued, take on the form. Singing in quiet, breathy whispers and some interesting vocalizing and phrasing, Byrne enthralled the crowd. Her songs are straightforward and engaging in that simple yet deeply felt way. She’s able to convey emotion even in that quiet singing style and seems to be able to find the center of each song convincingly. On record as well as live, Byrne is framed in a certain reverb-rich ambience, which emphasizes the intimacy in her material and performance. Let’s just say that sibilance and guitar fret noise actually appear to be features, not bugs. There’s a quiet sense of wonder and great melodies in songs like “Natural Blue” and “Follow My Voice” (from 2016’s Not Even Happiness) that makes me think Julie is somebody to pay attention to. One could see her as somebody who would have not been out of place as an artist on the Elektra label in the 60s. At the risk of sounding clichéd – on a Tuesday night one can clearly see the male/female representations (not only in performer but approaches) to this style of music that night and they both represented. Good stuff. 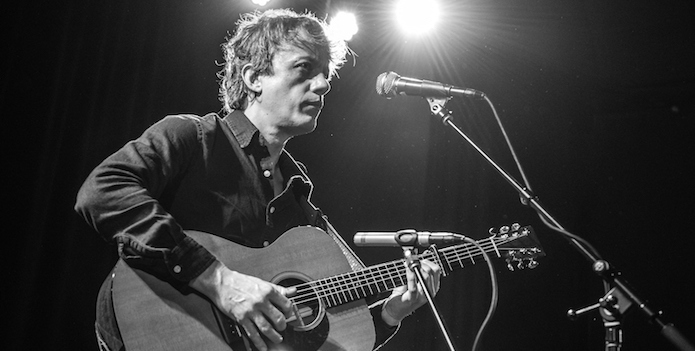 For more information about Steve Gunn, check out his website. Find out more about Julie Byrne here. Jeff Yih is currently the bass player for both the Jean Genies David Bowie tribute and local Psych-folk band the Sea Drama. He's reviewed records for MRR during the Tim Yohannon era and has been to too many shows and owns too many pieces of physical media. While not lindy hopping or practicing on the wheels of plastic, Jeff can be found doing extensive digs at all bay area record store, checking out live music as well as playing the occasional live gig.